Robert Raikes was like a lot of cause-oriented millennial evangelicals. As a writer, he stuck to impartial reporting instead of sensational “fake news.” He fought against inhumane prison conditions and founded a program to educate underprivileged children. But Raikes wasn’t a millennial. He was born in 1736, not 1986. He was, however, part of a generation of Christians who sought to live out their faith in the public square for the good of others. And part of those efforts included the founding of Sunday school. Visiting a friend outside his hometown of Gloucester, England, Raikes observed local children cursing, gambling, and fighting, according to Thomas Walters’ 1930 biography Robert Raikes, Founder of Sunday School. Raikes returned home determined to help children like those he saw. He was the publisher of a local paper, so his mind probably went quickly to literacy and education. During that time, education was primarily the realm of the middle class or higher, according to John Mark Yeats, associate professor of church history at Midwestern Baptist Theological Seminary. 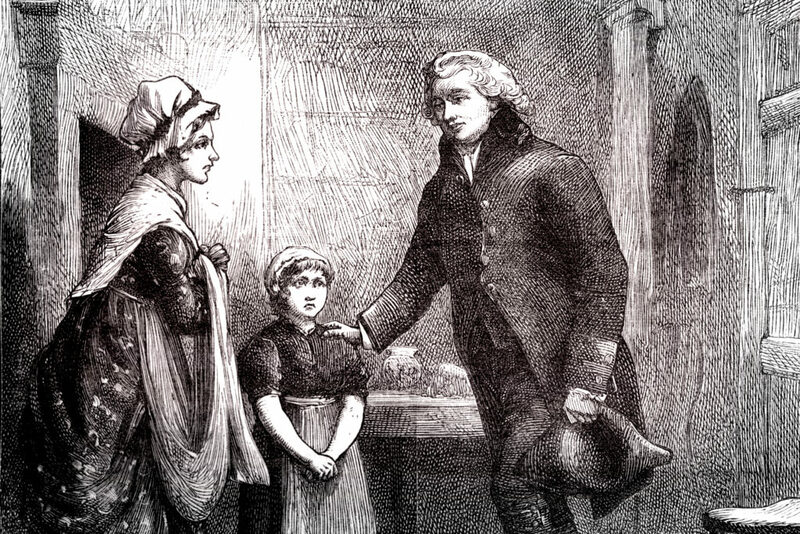 Walters writes that when Raikes opened his Sunday school in July 1780, he spent the next week inviting children from poor families to participate. Many objected that their children did not have proper clothes for school. Raikes responded that if the children’s clothing was fit for the streets, it was fit for them to come to his school. Those first school days began at 10 a.m. with teaching. The students were dismissed for lunch and came back around 1 p.m. After a reading lesson, they would go to a church service. That was followed by another round of classroom instruction until around 5:30 p.m. when they were sent home. After more than three years of Sunday school, Raikes published a small account of its successes in his newspaper, making no mention of his own involvement. Others had started similar programs in previous decades, but papers in London picked up Raikes’ story and the idea began to spread. By this time, the number of children in Raikes’ program had grown to several hundred and increased weekly. Employers began to notice a change in the children’s behavior. “They have been transformed from the shape of wolves and tigers to that of men,” said one manufacturer. “Some historians have posited that the Sunday school movement did more to empower the lower class than any other thing in the early 19th century,” says Yeats. What began as a small group with Raikes in 1780 grew to more than 200,000 students across England in only 20 years. By 1850, the number had climbed to 2 million. This does not even include the number of parents and siblings who were taught by children bringing their lessons home from Sunday school. As education became more common, Sunday schools began to transition into a religious training program for all ages. “We see this happen rather quickly in the U.S.,” says Yeats. By the 1840s, what was once known as the Baptist General Tract Society expanded its work to include biblical education material for all ages and became the American Baptist Publication and Sunday School Society. This transition continued until today when Sunday school is almost exclusively seen as a means to teach Christians more about the faith they’ve already come to embrace. To many, its evangelistic and social justice origins remain unknown. But others continue the tradition of Raikes by using Sunday school to reach beyond the walls of the church to those in need around them. What started as a service project for Sherrie Poirrier’s Sunday school class at First Baptist Church in Woodstock, Georgia, has grown into its own nonprofit organization to serve a mobile home park. As part of FBC Woodstock’s LoveLoud initiative, Poirrier says, her Sunday school group went one day to the park to give out free clothing, household items, furniture, and Bibles. The group also offered free haircuts and legal advice. After that day, Poirrier says her heart was broken for the people there. She immersed herself in a bread ministry already serving the mobile home park. Eventually, she became the leader of Living Bread Ministry and wanted to do more as she saw the overwhelming needs. Much like Raikes centuries earlier, Poirrier saw the needs and wanted to bring the gospel to bear on her community—and it started with helping to educate the children who lived in the mobile home park. “We have a camper on one of the lots where we provide free tutoring to the children,” she explains. The ministry offers Bible studies to the men and women on Saturday and specific year-round activities for the families. Funded solely by donations from Christians, Living Bread Ministries helps those in the area with groceries, medical bills, clothing, car repairs, and school supplies. Ross Ramsey is doing a similar ministry to a local apartment complex with First Baptist Church in Allen, Texas. Volunteers from Sunday school classes come to a Saturday training and then go into the neighborhood to help people and share the gospel. The church had recently begun a new initiative and the apartment complex was “begging” for the church to come over to help. “It was a marriage between tools and a place to use the tools,” Ramsey says. He says the outreach—driven by Sunday school—has resulted in an explosion in leaders, increased personal evangelism, members discovering their identity in Christ, and a more diverse congregation. “I have never seen anything like this that has gotten people from being passive in the pews to being ambassadors for Christ in the street,” Ramsey says. That’s where Salem Evangelical Covenant Church in Oakland, Nebraska, started as well. The 50 people gathered each week would take up a Sunday school offering. It was barely enough to cover the costs of their children’s curriculum, says Kate Webster. Then she visited her niece’s church and got an idea. The very first week of using the Sunday school offering for others, the church received more than three times what it had previously gotten in an entire year. The money was given to a local family in need. Since then the tiny church has given away tens of thousands of dollars. One project involves giving the church kids money to spend on gifts for kids at the local children’s home. “It’s just great to see the kids search so hard for a deal so they can get more things for the other kids,” Webster says. 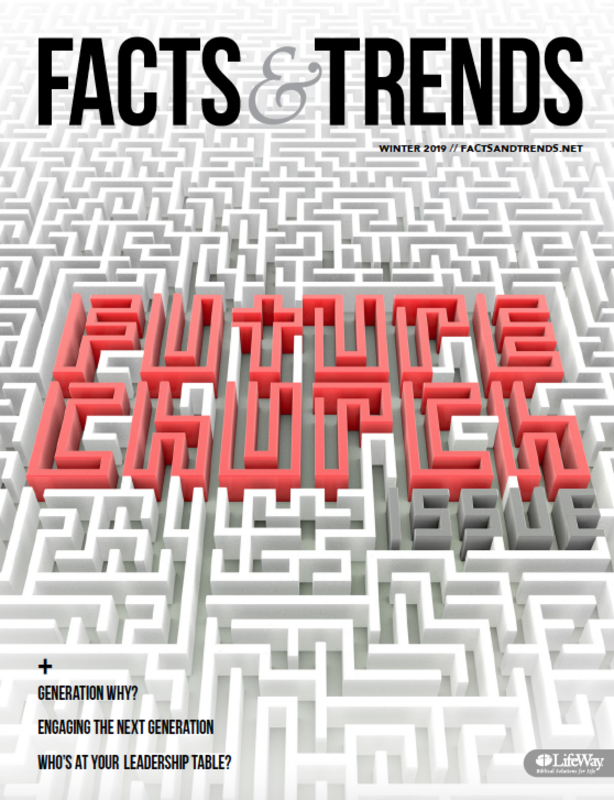 To capture the heart of Sunday school’s origin and continue that into the 21st century, modern Sunday school programs must reach beyond their classroom walls, according to Yeats.